BARQUISIMETO (Liga de las Americas) – The stage is set for the conclusion of the 2016 DIRECTV Liga de las Americas with a Final4 that promises two exciting match-ups with offensively explosive teams on deck. Two of the most experienced teams in the history of the competition and two newcomers to the biggest stage at the continental level will headline the Final4 with defending champion Bauru facing off against 2014 champion Flamengo in the first game of the doubleheader, a Mogi battling host Guaros in the closer. Bauru has suffered the biggest loss previous to tip-off, arriving to Barquisimeto without arguably its most important player in Rafael Hettsheimeir, sidelined by a hamstring injury. Hettsheimeir made them lethal and a team that was able to put forward a lineup of five shooters at any moment of the game. The big man was the fifth best scorer of the 2016 edition with 15 points per game. The defending champion is still a contender this weekend. The veteran leadership of Alex Garcia, along with the sharp-shooting ability of Robert Day and the spectacular play of Ricardo Fischer is enough to make Bauru competitive against any team in the continent. Even against archrival Flamengo. Bauru has a 5-1 record in the 2016 edition, having to win against Quimsa in the semifinals to secure the Final4 spot. The Brazilian club defeated the Argentinean club by the score of 73-63 with an amazing performance from Fischer who scored 26 points, along with 7 assists in the victory. These two teams were expected to be in the 2015 Grand Finale of the competition but Flamengo was upset by Mexico’s Pioneros de Quintana Roo in the Final4. Bauru went on to win the continental championship, but Flamengo won the national league championship later in the year. The Rio de Janeiro club swept Bauru 2-0 in the national league final. Both teams have faced each other twice back home in Brazil, winning one game a piece. Tonight will be the first time they do so in the biggest continental club stage. Flamengo has a roster capable of big offensive outputs when confident. The 2016 edition of the Brazilian powerhouse has veterans Marquinhos and Marcelinho as its two leading scorers with 14.2 and 12.8 points per game respectively, along with a solid contribution from JP Batista in the paint with 12.2 points per game. Their record in the 2016 edition of the continental club competition is 5-1. It seems a given to have Flamengo in the Final4 (this is their third consecutive appearance), but this year it was a complicated road travel to make it to Barquisimeto. The last time Flamengo was seen at the continental stage, two weeks ago, they struggled and lost in dramatic fashion against Guaros by the score of 92-87, and needed a game-winning basket from Jason Robinson to defeat Panama’s Correcaminos de Colon 84-83. Marcelinho was big in that game with 21 points, including 5 three-pointers in the win. The second Final4 match-up is an intriguing one that promises to be an entertaining affair as Brazil’s Mogi das Cruzes and Venezuela’s Guaros de Lara take to the big continental stage for the first time in their history. Mogi is a versatile club capable of putting on a show anytime they take the court. Their backcourt is the best out of the four remaining teams with 2013 Liga de las Americas MVP Shamell Stallworth and Brazilian national team point guard Larry Taylor at the helm. They combine for 28.3 points per game in the 2016 edition, being able to provide both long-distance shooting and excellent drive-to-the-basket skills. The team also has sharp-shooter Guilherme Filipin, along with Lucas Mariano and Tyrone Cornell with the possibility of having big games at any moment for the Brazilian club. Mogi has had dominant 2016 edition with a 5-1 record including a big 75-66 victory against Bauru in the semifinals that qualified them to this Final4. Larry Taylor was huge for them in that game with 20 points in the victory. Guaros has the home court advantage and an electrifying squad that enables to compete against any team this weekend. The Venezuelan club averages 80.8 points per game, led by the North American trio of Damian Wilkins, Zach Graham and Tyshawn Taylor, who combine for 47.3 points per game in the 2016 edition. The team also has a strong national lineup that includes Venezuelan national team members Windy Graterol, Nestor Colmenares, Luis Bethelmy and Gregory Echenique as their stars. Inconsistency has been a characteristic that has been there for Guaros throughout the competition, with a 4-2 record in which they lost twice to Brazil’s. The team needed to win against Flamengo in the last semifinal game to advance to the Final4 and did so in dramatic fashion by the score of 92-87, with a big performance from Taylor who scored 19 points, along with 6 assists in the victory. Mogi vs. Guaros will be a game determined by style of play. If Mogi is able to control pace and establish their half-court sets, they will have a good night, but if Guaros is able to run and get out on the fastbreak, there will be no stopping them on their way to the Grand Finale. 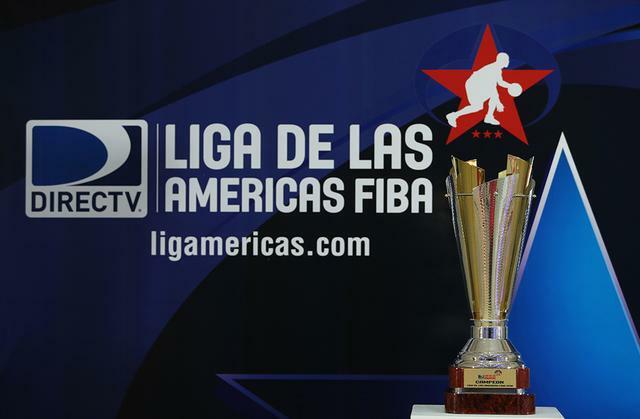 The Final4 of the 2016 DIRECTV Liga de las Americas will tip-off at 17:45 GMT -4:30 with Bauru vs. Flamengo and will be followed by Mogi vs. Guaros in the Domo de Lara arena in Barquisimeto, Venezuela. The winners of both games will play tomorrow in the Grand Finale for the continental championship. Weekend action can be watched on DIRECTV (Americas), SporTV (Brazil) and online at livebasketball.tv (subscription required). For the most complete Final4 coverage visit ligamericas.com and DIRECTV Liga de las Americas social media accounts @ligamericas.